Hey everyone! Halloween is near! Can wait, I have tons of un-posted nail art and swatches I don't know what to do with myself hehe. 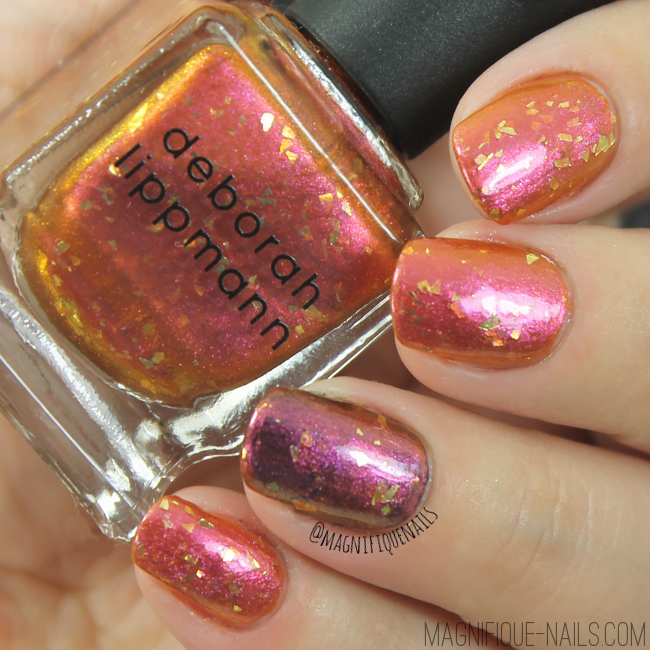 So for today's post, I have Deborah Lippmann amazing Fantastical Holiday '14 Collection. I absolutely loove the colors in this collection. It's truly not your typical holiday shades, which I love. 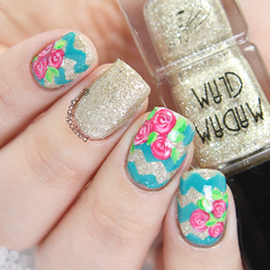 This collection introduces three shimmers and three glitter polishes. Each polish are very different, unique and magical on their own. I even love how well the colors go together, especially with Magic Carpet Ride. Its is described by Deborah each shades on the collection "adds an air of mysticism and splendor to enhance your mood or any occasion". 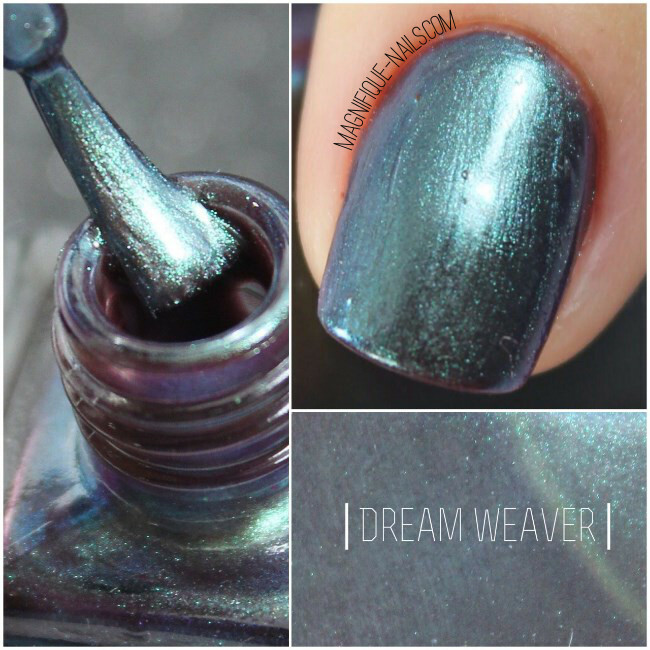 Dream Weaver- a gorgeous duo-chrome shimmer described as "a sophisticated oil slick painting for the nails." Depending on how you look at Dream Weaver, it shifts from purple to green to blue. The formula was normal, and the application was easy to apply. Sheeron the first coat, however you will need more than one coat for full coverage. You can also add a coat over black polish, giving a nice and unique look. 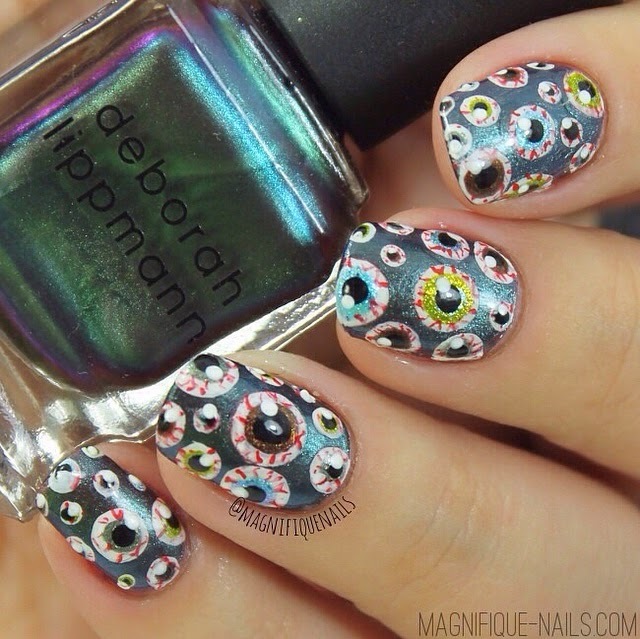 I created an eyeball design inspired by Chalkboard Nails she did last year, just in time for Halloween. 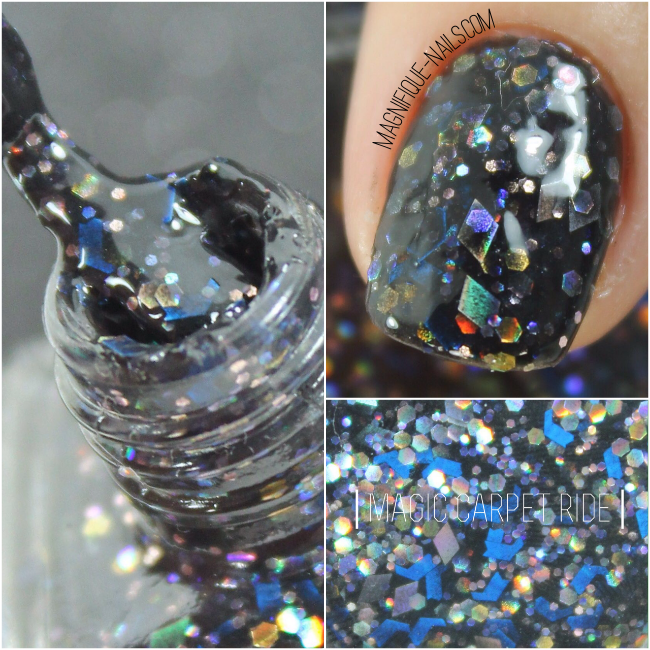 Magic Carpet Ride- a black jelly base described as "a galaxy of exploding glitter cut into the shapes of diamonds, circles and hexagons", throughout the polish. The formula on this polish was bit thick, due to all of the glitters in the polish; it was also a pain to apply. Alone you will need more than one coat, however, best to apply a black polish as the base, and apply one coat. 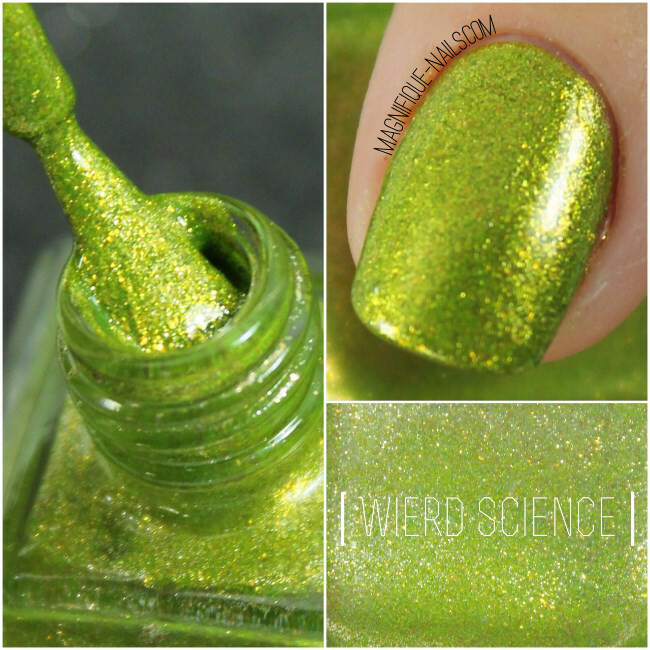 Weird Science- I absolutely loove this color, my top fave shimmers on the collection! 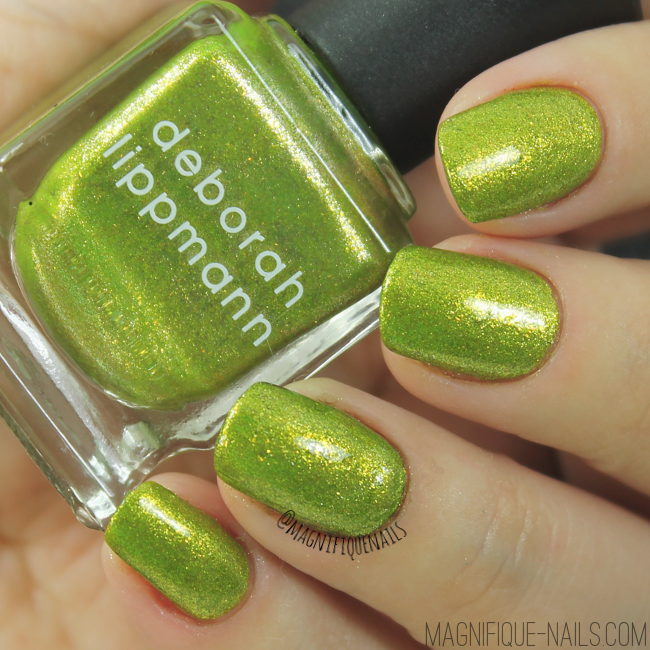 It is described as " a gleaming chartreuse" with tons of golden shimmers, throughout the polish. The formula son this polish is absolutely amazing. I was pleasantly surprised how easy it was to apply on the nails, considering the amount of shimmers on this polish. I also applied one coat, which was fully covered. 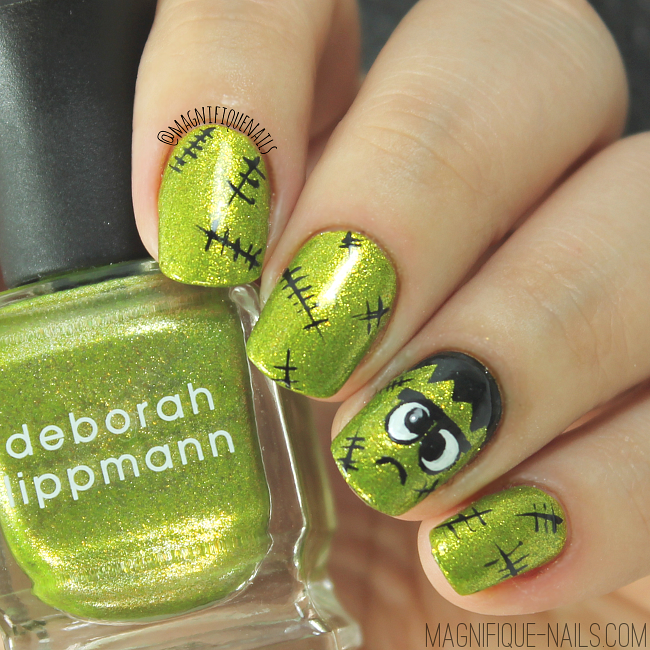 After swatching this color, I knew it will be perfect for some Frankenstein nails I had planned to do. It was inspired by a D.I.Y t-shirt I saw on a craft store the other day. I just love how cute the Frank looks! 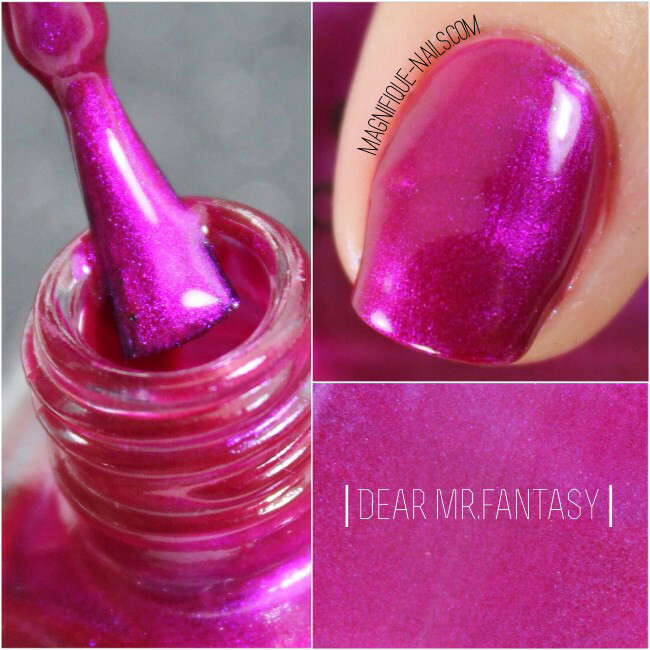 Dear Mr. Fantasy- another favorite of mine. This color is soo beautiful to look and to wear. It is described as "intensely radiant magenta", with tons of subtle pink shimmers, throughout the polish. The formula on the polish was amazing, making the application smooth like silk. I think you can get away with one coat, however it does get darker after two more coats. Xanadu- is such a gorgeous color, its definitely a magical shade! 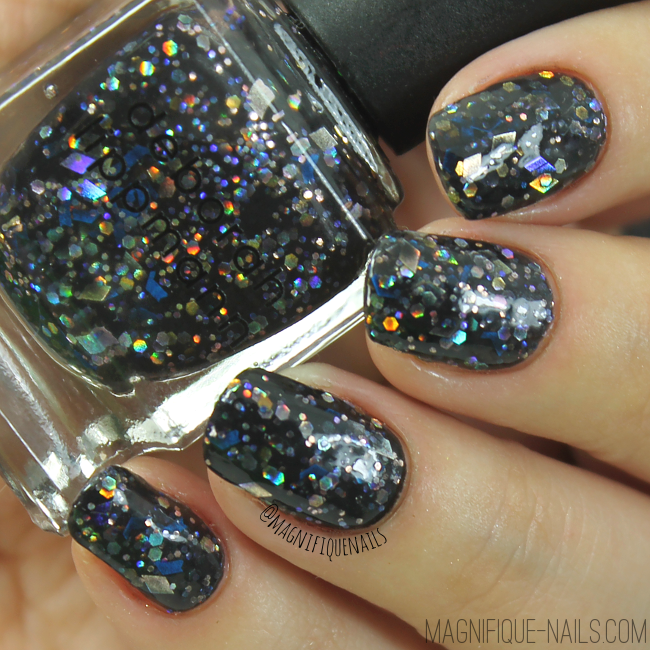 Deborah describes it "a celestial cerulean blue with fine micro glitter that glows with an opal-essence quality". It so pretty to look at, as it shift from purple and back to blue again. The formula was fairly normal, and the application was decent. This is three coats, sealed with top coat. I even applied one cot over a black base (seen on the ring finger). 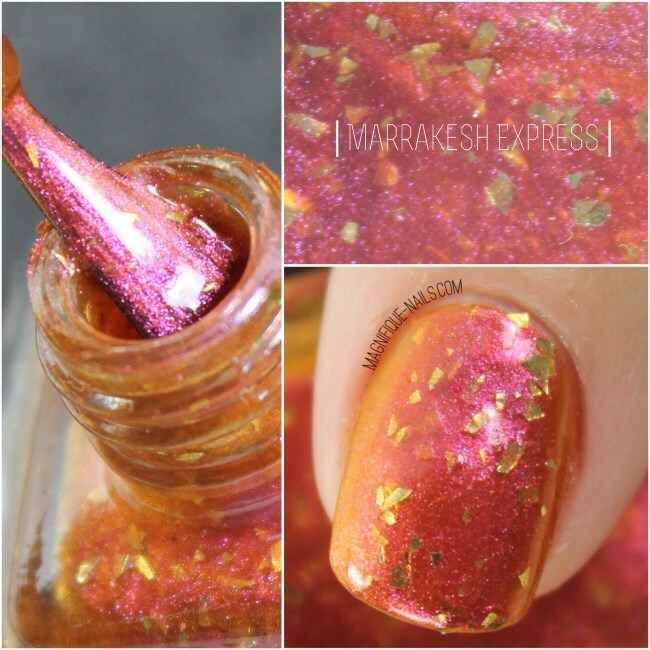 Marrakesh Express- a duo chrome shade that sits from orange to pink or even gold. It is described as "a chrome-like spiced sienna with rough cut golden glitter". The formula on this polish was surprising normal and easy to apply. I really loved how each angle changed colors. Sheer on the first coat, so I would recommended more than one coat for full coverage. I even applied one cot over a black base (seen on the ring finger). 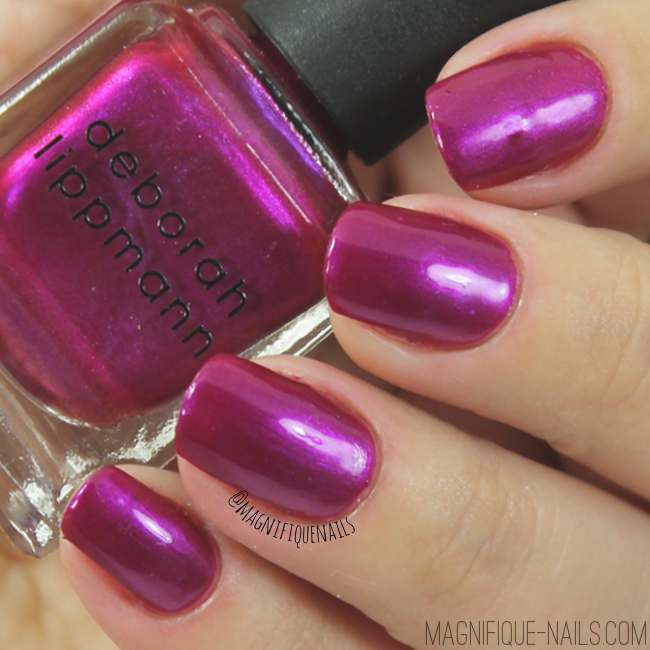 Overall all six shades are absolutely beautiful and different from every other Deborah Lippmann polishes. Each colors are unique on their own, especially considering the differences in formula and application. They are now available and retail $20.00 for the glitter and 18.00 for the shimmers at www.deborahlippmann.com and at Barneys New York, Bloomingdale's, Neiman Marcus, Nordstrom, and Sephora stores. 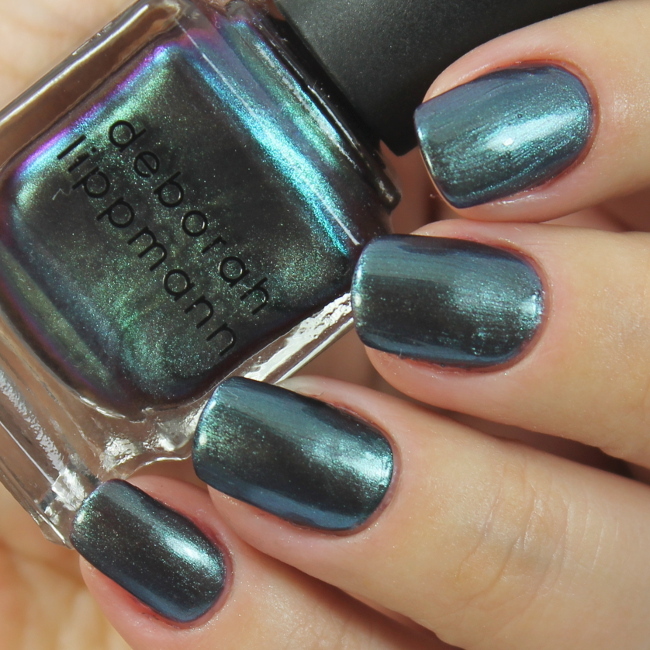 Tumblr: Deborah Lippmann Hope all of you enjoyed my post today! What do you guys think? Let me know in the comments below!